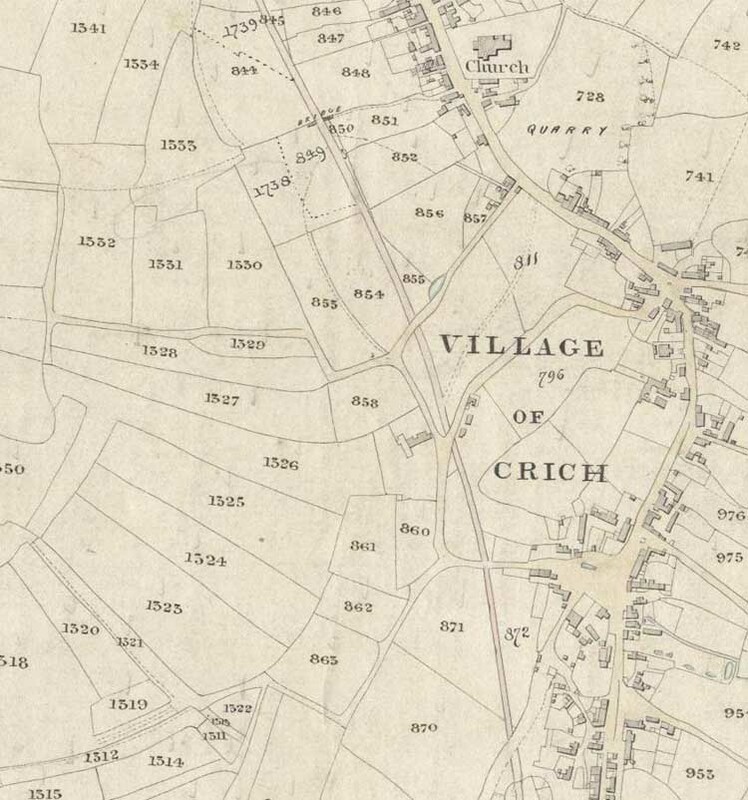 Piggin is certainly a "Crich Name", often associated with the church. 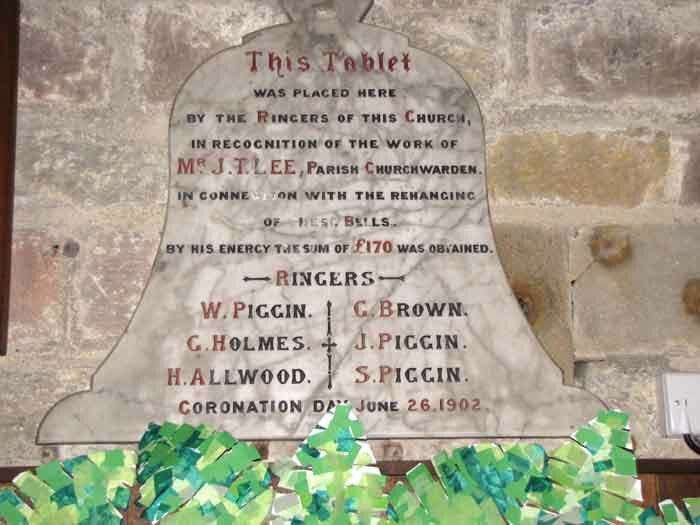 At various times the family were church sextons and bell-ringers. 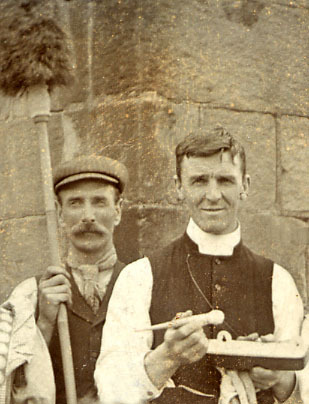 John Piggin was the village postman in the 1860s. A report in the Derby Mercury dated 8 February 1865 reports how he was trapped in a snow drift. Crich. As Mr John Piggin, the postman for the Crich district, was returning from his round, he got fast in a large snow-drift, and remained in that position for nearly an hour. Fortunately, two men were going by not far from where he was, and were attracted by his cries for assistance, which they immediately rendered to him. He was conveyed to the house of his father much exhausted. Had it not been for the timely assistance rendered the consequences would in all probability have been fatal. 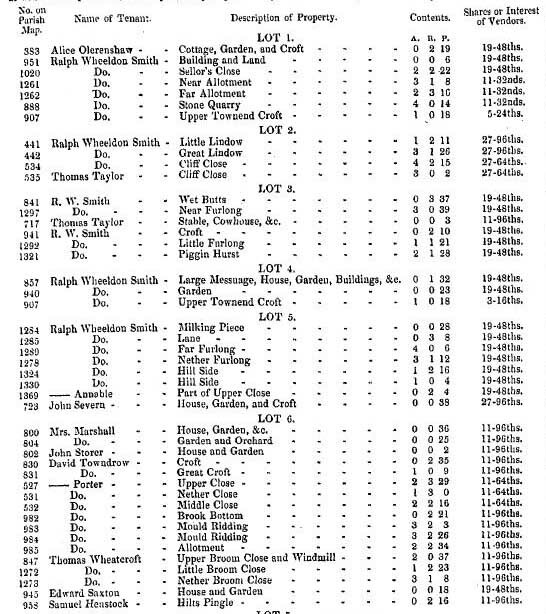 Eligible Investments ... in Crich ... Auction at Jovial Dutchman Inn in Crich on the 22nd July 1845: Lot 3 / No. on Plan, or Parish Map: 1321 / Name of Tenant: R.W. Smith. / A close of arable land, lying on the Stones; called Piggin Hirst. 2A 1R 28P - 19-48th parts or shares. Jean-Baptiste Piggin has made a study of the name Piggin. On his website is a section devoted to the Crich Piggin family.